We had a great turn out for our entry in the parade and received a lot of enthusiastic applause from the crowd. Folks read and heard the words to the “Corporations Aren’t People” song. Plus we gave out a lot of Move-to_Amend cards to the crowd. 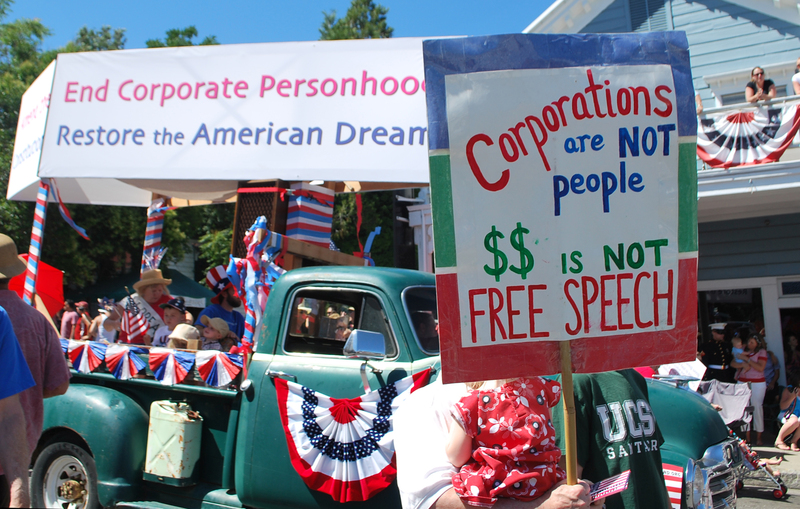 The Move to Amend coalition has been fighting Citizens United since Day One, and has been organizing against corporate rule for over a decade; we welcome Obama’s statement and his help ‘shining a spotlight’ on the same position held by the majority of Americans. He just doesn’t go far enough.